tenHsEcm12xx is a HomeSeer plugin that creates HomeSeer devices that monitor the energy values provided by the Brultech ECM-1220 or ECM-1240 power monitors. The Brultech power monitor connects to your electrical panel and continuously measures the amperage and voltage, computing power consumption. It makes this power data available to your computer via an RS-232 serial port, or via ethernet. The tenHsEcm12xx plugin does not get data directy from the ECM(s), but receives its data from tenEcmServer, which receives the data from the ECM(s) and broadcasts it across the local network. This allows you to connect the ECM hardware to a different computer than the one running HomeSeer. It also offloads much of the detailed communication processing to a process separate from HomeSeer. 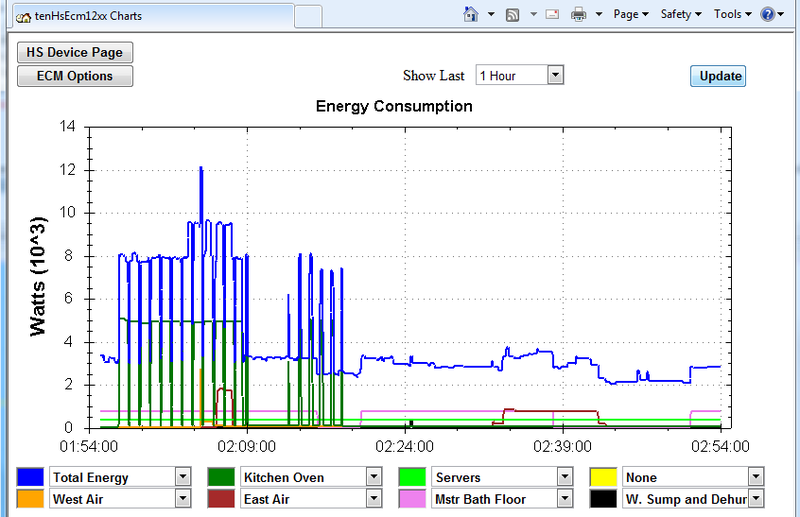 You could have several client programs running on one or more computers using the same ECM data, such as: the HomeSeer plugin on your HomeSeer server, a data logger that archives all of the power data to a database, a realtime chart running on several touchscreen panels around your home showing the last 24 hours of energy consumption, etc. tenEcmServer and the HS plugin tenHsEcm12xx support up to two ECMs. Both tenEcmServer and the tenHsEcm12xx plugin are available at no charge. 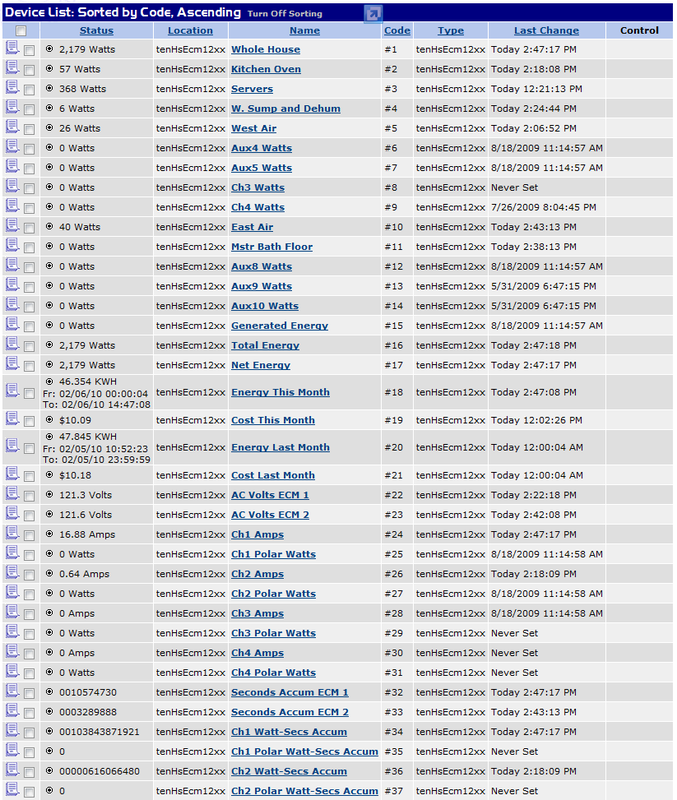 The tenHsEcm12xx plugin can monitor up 14 channels from up to two ECMs. It also provides the ability to seperately track energy generated by solar panels or wind turbines, the net energy received from or provided to the power grid, and the total amount of energy being consumed from both the grid and generation.